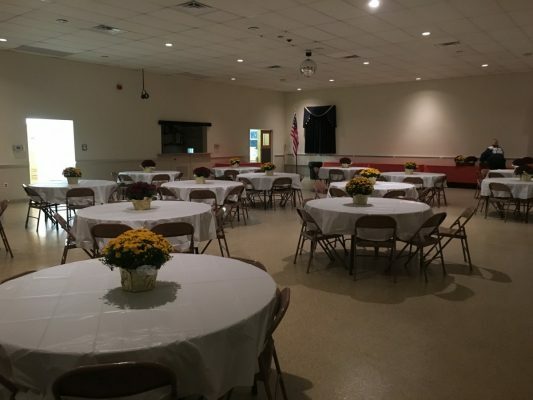 Rose Tree Fire Company is proud to provide their banquet hall for rent to the public. Located at 1275 North Providence Road, just behind Chrome Salon. The hall may be rented for weddings, dinners, parties, fundraisers or meeting space. Fill out the form below to reserve a date. Rental fee is $550 for 4 hours. $150 security deposit. Round tables and chairs for seating, along with several rectangular tables for food, etc. Conveniently located near the Blue Route (Rt. 476), Baltimore Pike, and Route 1 Bypass.